Experience the difference with Reflections in Coolangatta, a 4 and a half star luxurious resort rising above Greenmount Beach. Reflections offers guests the choice of 1, 2 or 3 bedroom apartments featuring fully ducted air conditioning, large balconies with breathtaking beach or ocean views in both of the towers. Each apartment is spacious and has been beautifully furnished. It is the perfect location for a relaxing beachside escape. 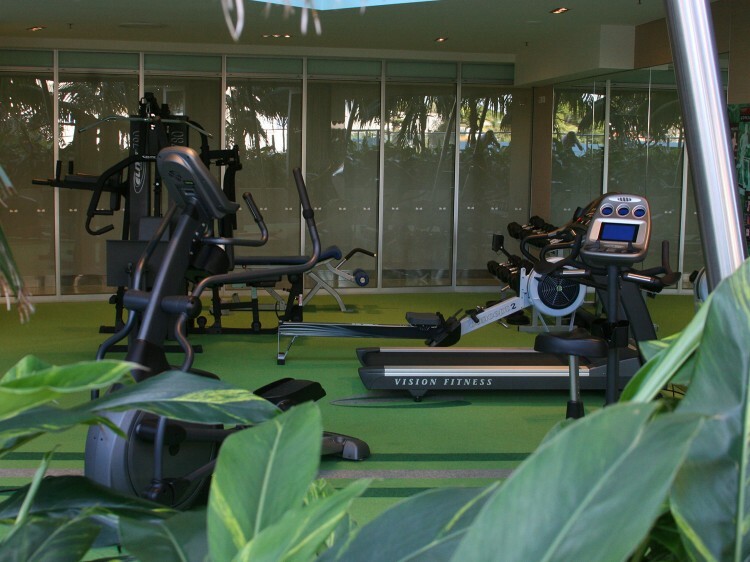 Guests can enjoy the many stylish onsite leisure facilities available including a heated lap pool & spa, gymnasium, steam room, sauna, in-house theatre room, Teppanyaki grill and Zen garden. Free wireless internet access and secure undercover car parking is available. 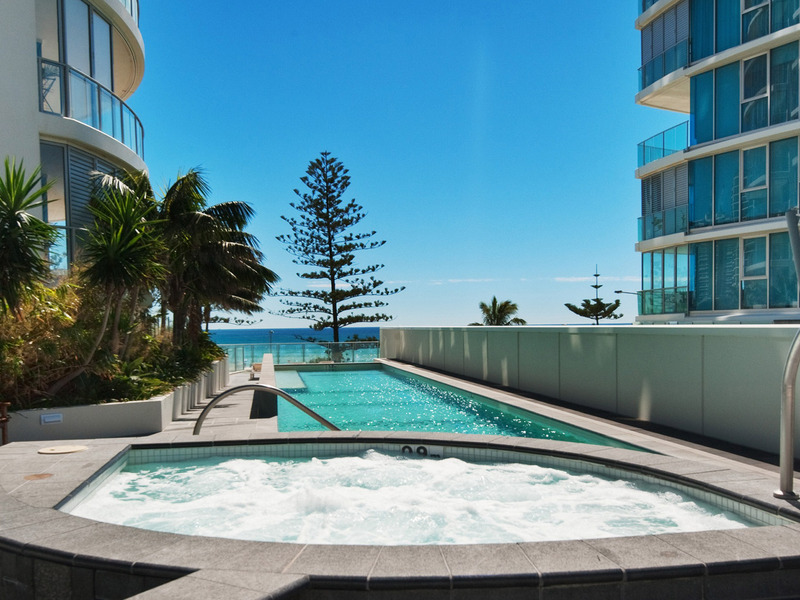 Reflections Coolangatta finds the perfect harmony between nature and necessity. Simple and stylish, the clean lines and use of glass gives you uninterrupted panoramic views of your magnificent surroundings. 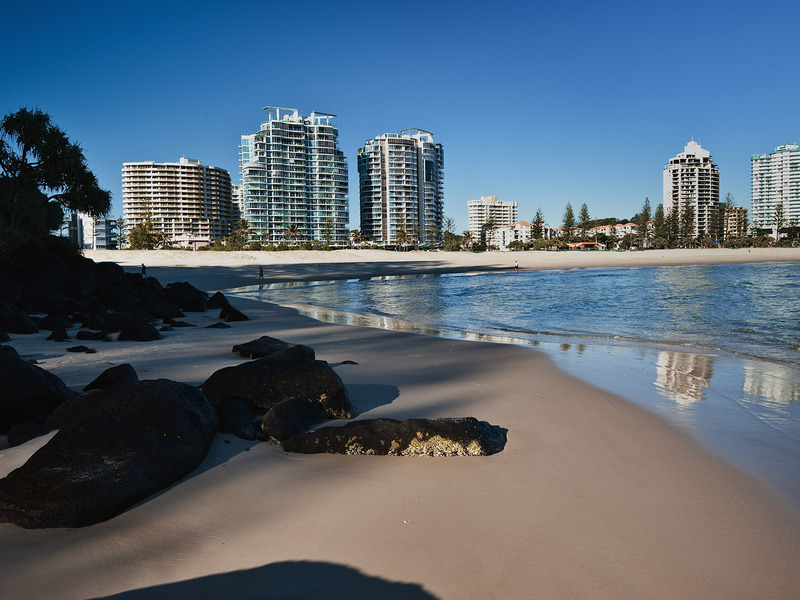 Not only will you find the pristine Coolangatta beaches and the Tweed Coast at your door step, you will also find that Reflections includes a variety of al fresco dining options and a desirable retail precinct located on the ground floor. All that the Gold Coast has to offer awaits your enjoyment including one of the greatest surfing spots in the world. This resort does not accept arrivals or departures on Christmas Day.